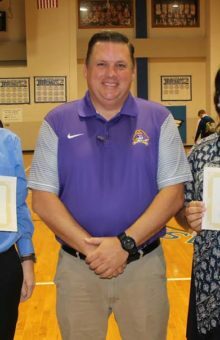 Shown are the two Joe Bostic/Lacy West ECU Memorial Scholarship award recipients along with Alan West, Lacy West’s son, who presented them at the awards day. The scholarship recipients are Ross Johnson and Melina Wilkins. 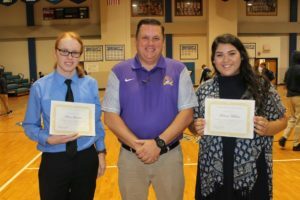 Two students were awarded the Joe Bostic/Lacy West ECU Memorial Scholarship on East Bladen’s Awards Day ceremony. Receiving the scholarships valued at $1000 were Ross Johnson and Melina Wilkins. Joe Bostic and Lacy West were both ECU alumni, avid ECU supporters and instrumental figures in Bladen County. Sadly both lives were gone way too soon and so to honor their legacy, this scholarship was established by many family and friends in their honor. This scholarship was in the amount of $1000 to help with their academic responsibilities. 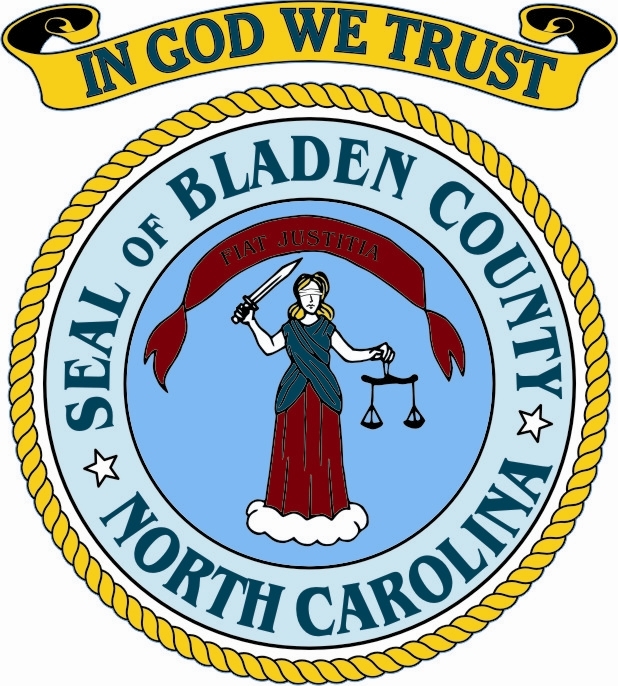 Each year this $1000 scholarship is given to one Senior from each High School in Bladen County. Applications are submitted to their respective guidance departments and chosen by a scholarship committee at East Carolina University. Through the generous donations from many of you that gave to our annual pancake dinner, this scholarship will be available for many years to come. We want to again congratulate Ross and Melina and wish them the very best at ECU! !